The current most desired look in the kitchen is minimalist and modern, with many of us wanting to create a refined space to impress and entertain our guests. With this comes the problem of finding new ways to hide the endless appliances, pots and pans, and of course foods, that clutter the counters and cupboards. Smart storage is therefore a necessity, particularly in a small kitchen. The pantry, originating in Medieval England, used to be the ideal solution; provisions, linen and foods were stored there, whilst meat was kept in the larder and alcohol stored in the buttery. Predominantly found in older houses, the pantry is not a common feature in new builds. In recent years, however, it has seen a popularity increase. As the minimalistic style becomes the preferred choice, using a separate room for food and supplies makes sense for creating a sleek and spotless look in the kitchen. In the modern day home this is not always a practical option if you’re short on space, with many people opting to use any extra space for a bigger kitchen. We have listed some popular alternative storage ideas for keeping your kitchen organised and clutter free. If you still want to keep all of your provisions, foods, and supplies in one place, but don’t have room for a walk in pantry, try the pull out pantry. 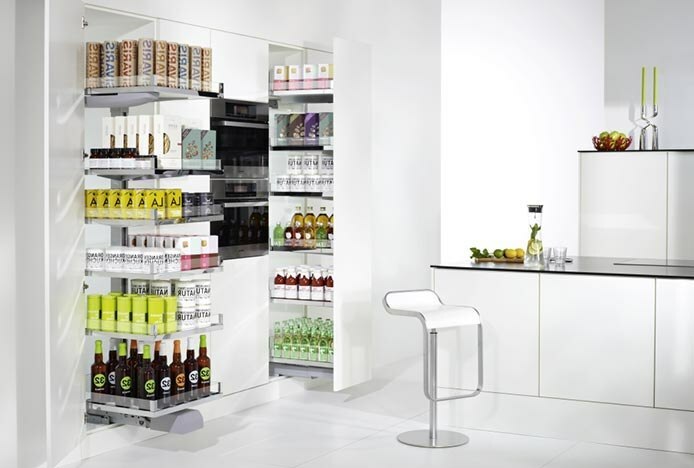 Opt for a tall pull out cabinet when redesigning your kitchen, or make use of any existing space next to the fridge. Using wire shelving will also allow you to see everything, instead of losing items at the back of the cupboard. A popular DIY storage trend in the kitchen is customisable drawer organisation. Kitchen drawer dividers allow you to store your utensils and cutlery in one organised place, and with adjustable partitions you can create specific compartments to fit your utensils perfectly. 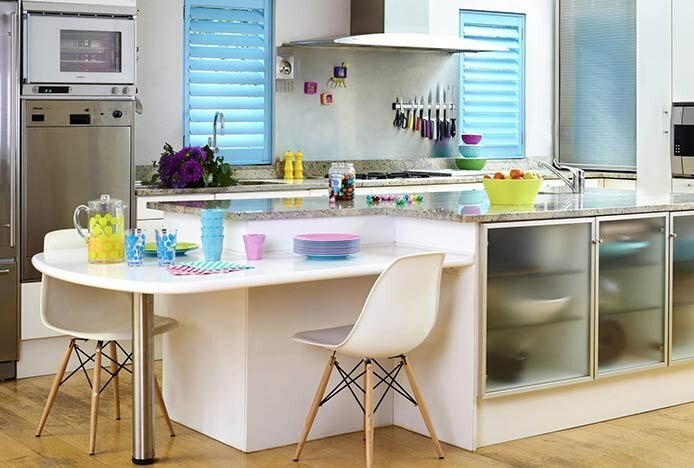 There are numerous dividers available to compliment any style of kitchen, with plastic, wood, and steel options, including variations for deep drawers to contain crockery and pans. 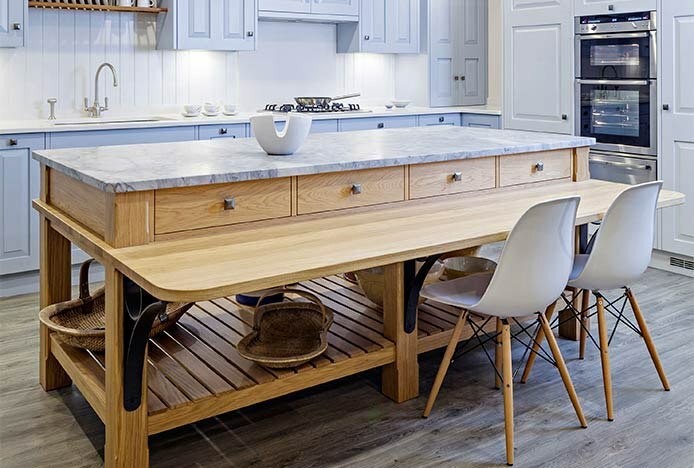 The addition of a kitchen island provides an extra worktop to use for food preparation, but an island with open space or shelving beneath the work surface can allow for storage bins and baskets. For a portable option, go for a cart with wheels or a rolling cabinet, these can easily be pulled out when needed and stored out of the way afterwards. Kitchen stools and chairs often get in the way when not in use; they take up floor space and can make a small room look crowded. 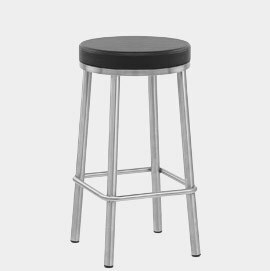 Stools that easily tuck under the kitchen island can help tidy the room, such as our Vision Brushed Steel Stool. 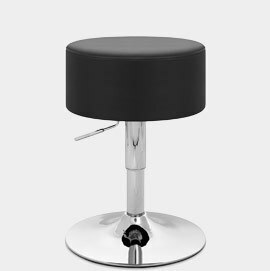 Our stackable dining chairs and bar stools also allow you to stack seating out of the way after mealtimes. Seats with storage space inside are a great way to store items that are used less frequently such as spare tea towels, recipe books, and anything else that takes up valuable cabinet space. 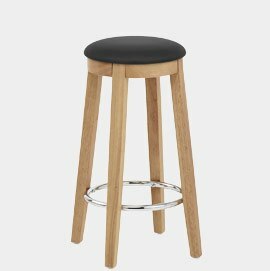 Our low stools are also ideal as they take up less visual space and can easily tuck under your kitchen table, our Bullet Stool is a great example. Magnetic racks and pegboards are a handy solution if you like the idea of displaying utensils and appliances. Install a magnetic strip on your backsplash to free up counter and drawer space. This can be used to hang knives and kitchen scissors, or invest in magnetic spice tins and hang those on the wall too. Another simple way of openly storing utensils and pots and pans is to mount a pegboard on an unused wall. Almost anything can be displayed on a pegboard with the right hooks; it can also be made to look decorative by painting it to match your kitchen colour scheme. If you’re remodelling your kitchen, pop up storage is a wonderfully innovative option to consider. It allows you to keep appliances and gadgets hidden in a storage unit in the kitchen counter or island. You can then raise them to worktop level with the push of a button. This means extra worktop space when the appliances aren’t in use. Another great way to keep your appliances in reach but out of sight is to use slide out shelves. 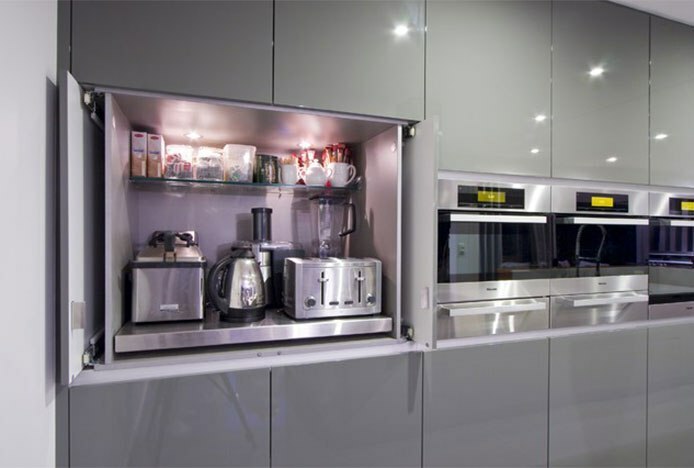 Try storing toasters, kettles and steamers in a cabinet at worktop level, on individual slide out shelves. If you install outlets in the back of the cabinet, you can simply pull out the shelf, use the appliance, and push it back in afterwards. Whether you want to create the on trend minimalist style, or just want to make the most of a small kitchen, these storage solutions are a great starting point. For more ideas on creating an uncluttered space, check out our Less Is More pinterest board. Learn how to revitalise your space with these five clever design hacks..